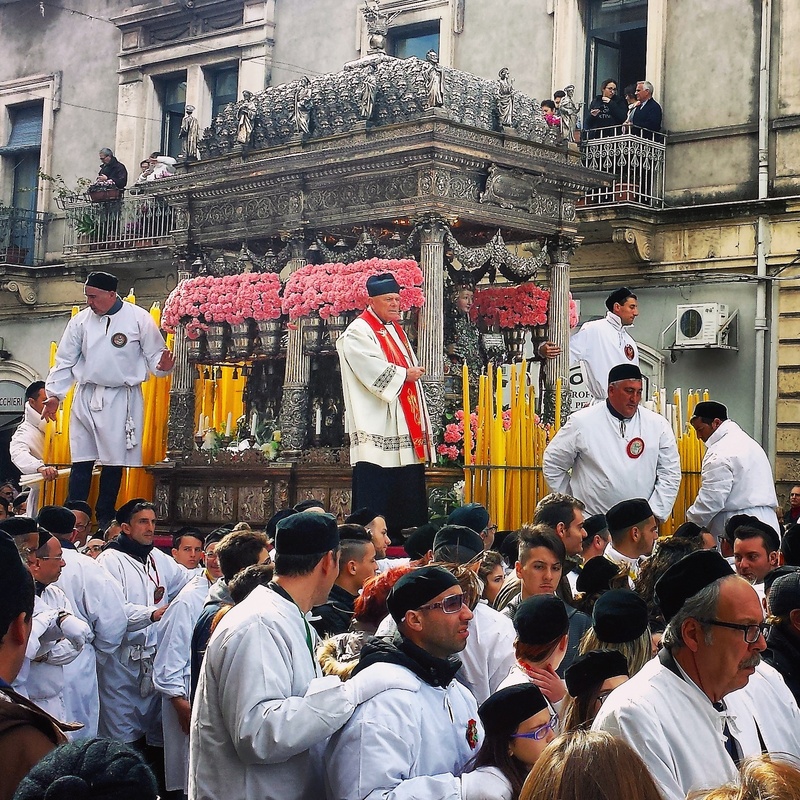 During today’s procession the Fercolo stops at all of the important locations where Agatha lived and suffered, and there, devotees reflect and pray. Meanwhile, the faithful follow and visit the carriage throughout the arduous, sometimes uphill route, lighting 4-foot-long candles in dedication and asking the saint for protection for the year ahead. This is quite an undertaking – carrying this huge silver carriage through the town, 5,000 men pulling on ropes – just spectacular. By your description, I hope I am there one day to witness this amazing celebration, ALL of it! I’m with you! I look forward to one day returning to experiencing this all up close. Last year, I only scratched the surface. We’d have such a great time!